There are a lot of roulette bots for online casinos, which make the application of systems and roulette strategies easier. One of the commercial ones is roulette bot pro, but there is one with a similar name called “roulette bot plus”. I intially confused the two because of similar names. I have limited experience with roulette bot pro, but my understanding is it is is a cross between a betting bot and roulette xtreme, which is a system tester. From what I have seen though, the systems that it is capable of applying do not beat roulette in the long term. Nevertheless, it is not a system itself, it is just a tool to help you apply systems. If you want to learn about professional roulette systems that really work, go to www.roulettephysics.com which includes lots of free professional advice to teach you how to win at roulette. Roulette bot plus is something entirely different. I first heard of it from the owner who wanted to promote it on my forums. He offered various commissions pertaining to actual online casino player signups. The idea behind the software is it leads people to believe the bot wins in practise sessions, so you can win a fortune with real casinos – not any casino though. Only the ones that the promoter specifies. 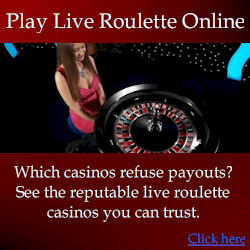 So basically roulette bot plus is a scam to get you to join and lose at online casinos. There are many like it, with an older one being Andruchi, who has attacked me widely even with dedicated websites becasue he didn’t like people knowing what he was doing. He did much the sme thing as roulette bot plus, which is giving a great free system that supposedly only works at specific casinos. It will work great in practise sessions, but not with real money. You have to wonder how such a blatant scam can be allowed to exist. I’ve been scammed many times in the past, and I mean for rather large sums that qualify as “serious fraud” under the government definitions. For one particular case, I went through the whole process of reporting it to the police, interviews, recordings etc. And the end result was there was nothign the police could do unless the individual would admit to defrauding me. This is because to a jury, all the scammer would need to is say he believed his claims at the time. But if it was a federal case where the government is prosecuting someone, the prosecutor will jump on every tony bit of evidence to support their claim. How can so many roulette scams exist? If you expect the government to deal with a scam that doesn’t directly affect them, expect nothing will be done, unless it affects many thousands of people. And this is even if it’s all happening within your country. 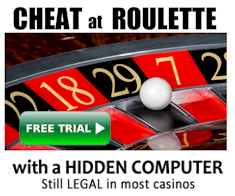 Now add the complexities of international borders, and scams like roulette bot plus will exist for a long time. It still surprises me that people could think someone would give away a free bot and system, that is making people tonnes of money, but only if you join specific casinos. We have all been victims to scams before, but use common sense and you can avoid the obvious ones. Do any roulette bots work? A bot isn’t a system – many bots can place bets for you automatically. But before you use your roulette system, it makes sense to properly test it first. I’ll explain more about system testing in a seperate article. The roulette bots my players use must be used in conjunction with my roulette wheel analysis software (JAA). It can also be used for visual ballistics players online. Essentially you enter the data you get from the JAA software, and each spin you click relevant reference numbers, and it covers neighbor bets almost instantly. This is perfect for players who want to use roulette computers or visual ballistics online, although because of what we’ve done to online casinos, most are now calling no more bets much earlier. 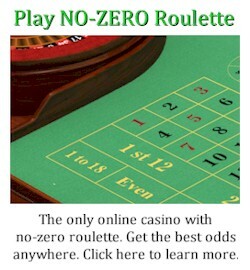 While this doesn’t affect the JAA software users, it makes winning with roulette computers online much more difficult, or impossible. The situation for real casinos is different though because they aren’t going to regularly face multiple roulette computer or visual ballistics players day after day, so they’ll usually only call no more bets earlier IF they suspect someone is using a computer. Many of you would already know most of the above, but it is written more for people who are new to the endless list of online casino scams. A good telltale sign of a system that works is one that relies on any kind of roulette betting progression, or claims to be the best red black roulette system. Have you encountered the program “tigerprofits”? What’s your thoughts on that?